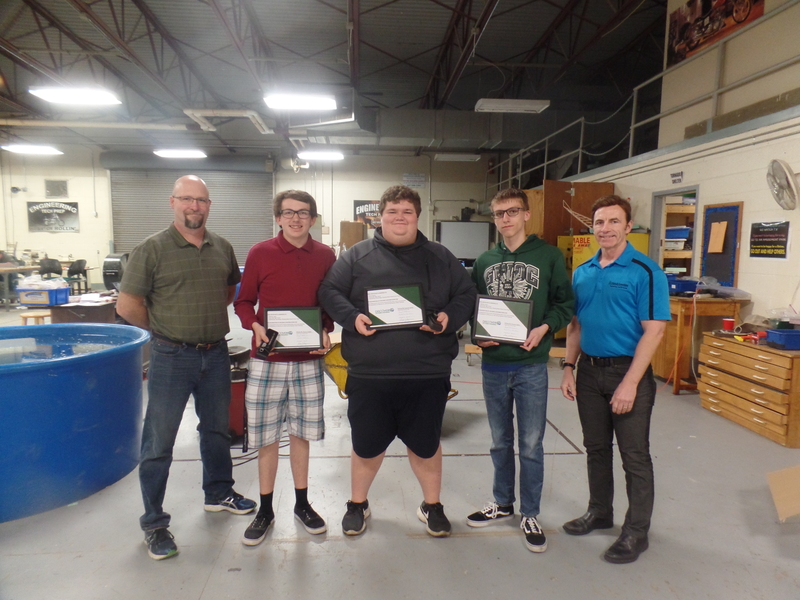 Mote & Associates, Inc. presented awards to the winners of the 2019 Engineering Week Competition on Friday, April 5, 2019. Students, Nicholas Colby, Aaron Buchy, and Matthew Karns, along with Mr. Christopher Sykes of Greenville High School and Jerry McClannan are pictured. Mr. Adam Eberwein of Greenville High School was not available for the photo. Mote & Associates, Inc. is proud to be apart of this competition each year.